The learning of a foreign language provides a valuable educational, social and cultural experience for the pupils. 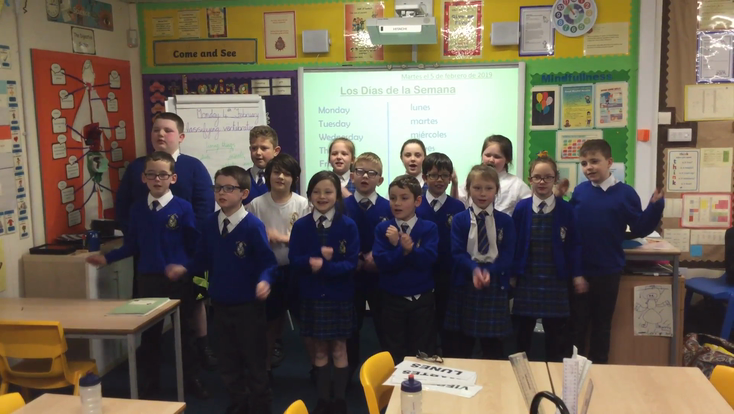 Pupils in Key Stage 2 have weekly Spanish lessons which allows them to develop communication and literacy skills that lay the foundation for future language learning. Learning another language raises awareness of the multilingual and multicultural world and introduces an international dimension to pupils’ learning, giving them an insight into their own culture and those of others. The learning of a foreign language provides a medium for cross-curricular links and for reinforcement of knowledge, skills and understanding developed in other subjects. Learning a language allows us to broaden the cultural awareness of the pupils and to foster positive attitudes to language learning, speakers of other languages and other cultures. it allows us to create confident language learners who enjoy languages, who can express their thoughts and ideas in another language and can understand and respond to its speakers both in speech and writing.